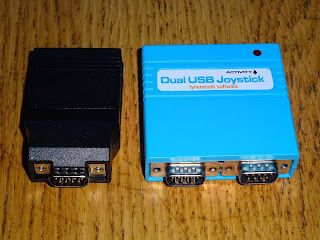 A while ago I designed a board which allows you to plug in one or two Atari / Commodore style joysticks and use them on a PC or Pi with modern games or emulators. 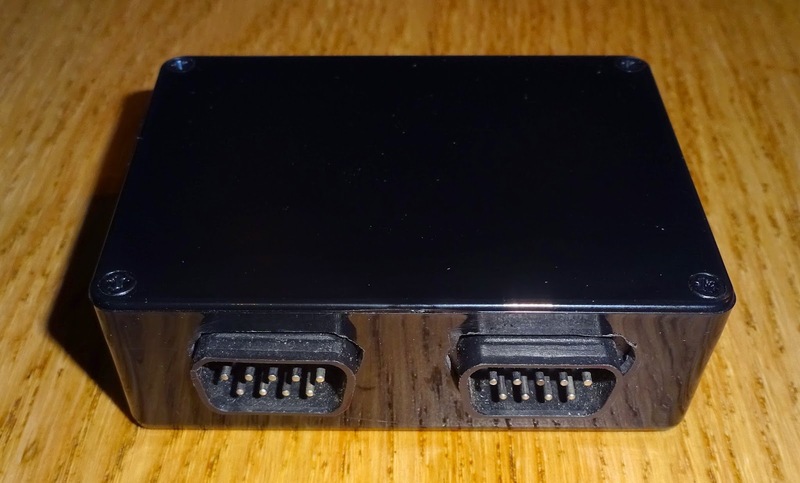 I used this on Spectrum +2's, Commodore 64's, Atari etc., poking out the holes in the case originally used for the joystick connectors. 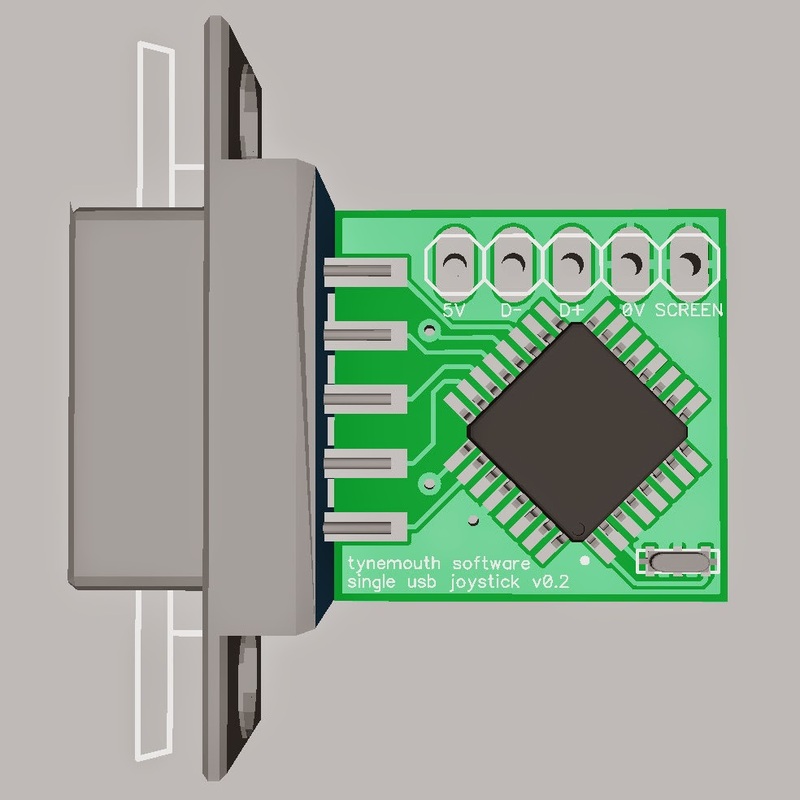 I've had a few requests to add this to Spectrums, but there isn't space inside, so I took what was designed to be an internal board and made an external version, the same board in an ABS project box. It looks a bit ugly, and it's a pain to file out three odd shaped holes, but it does the job. 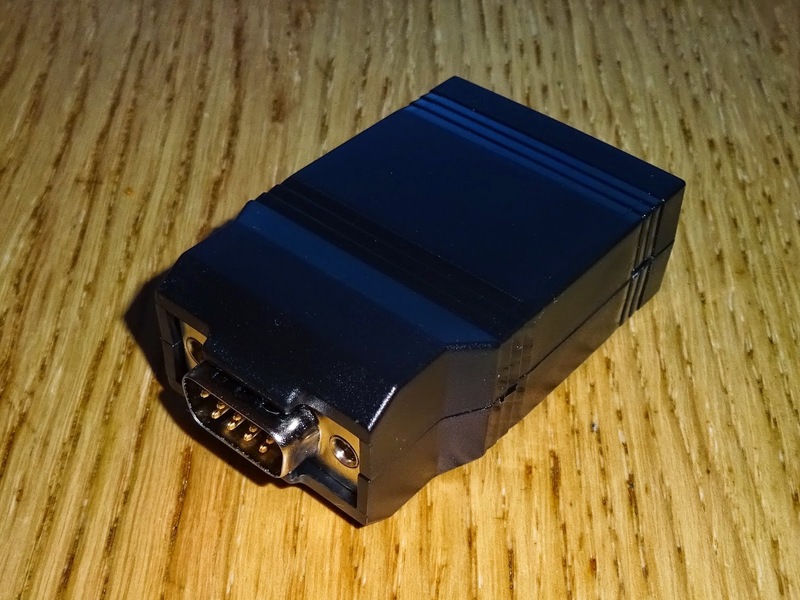 There has been more interest in this, so I thought I'd design a proper external one. I wanted something that would fit into an existing case, without modification. 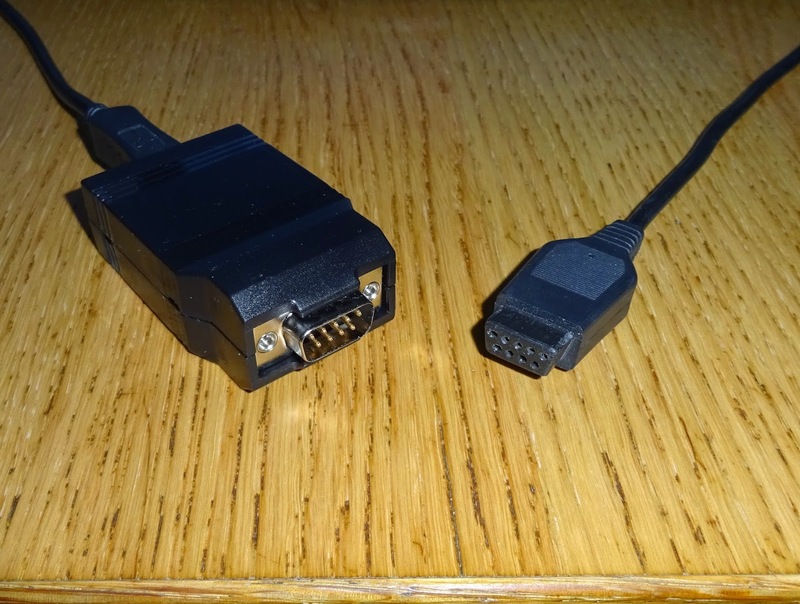 I initially looked at using a 9 way D connector hood. 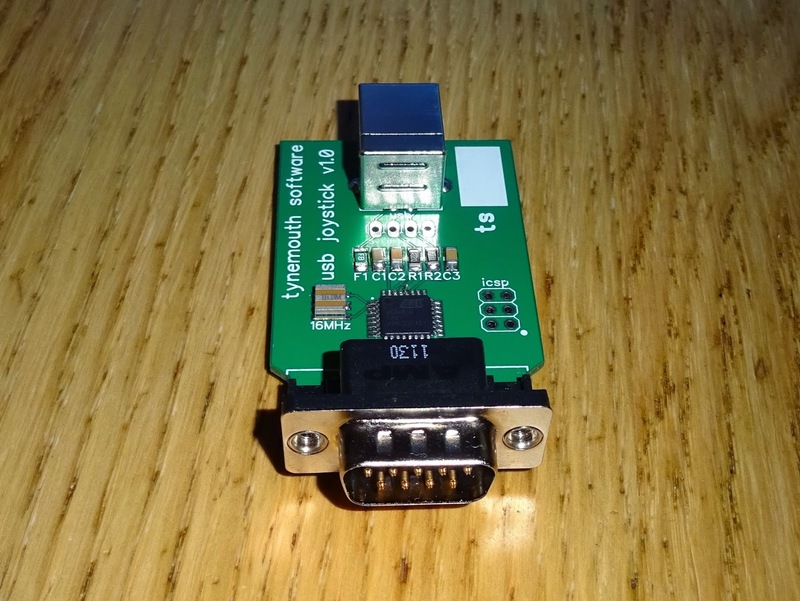 The board had to be very small, only 17mmx17mm. I decided this was just going to be too fiddly as it ended up with components mounted on both sides of the board. I did look at 3D printing a case, and got some way into designing that. I then found an easy solution staring me in the face on my desk. 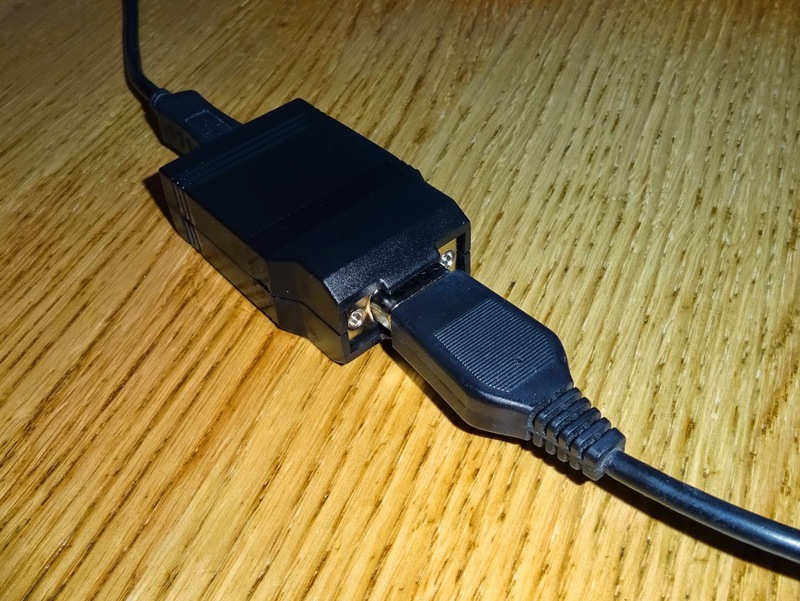 The case used on the USBtinyISP, was actually designed for a 9 way D to RJ45 adapter. 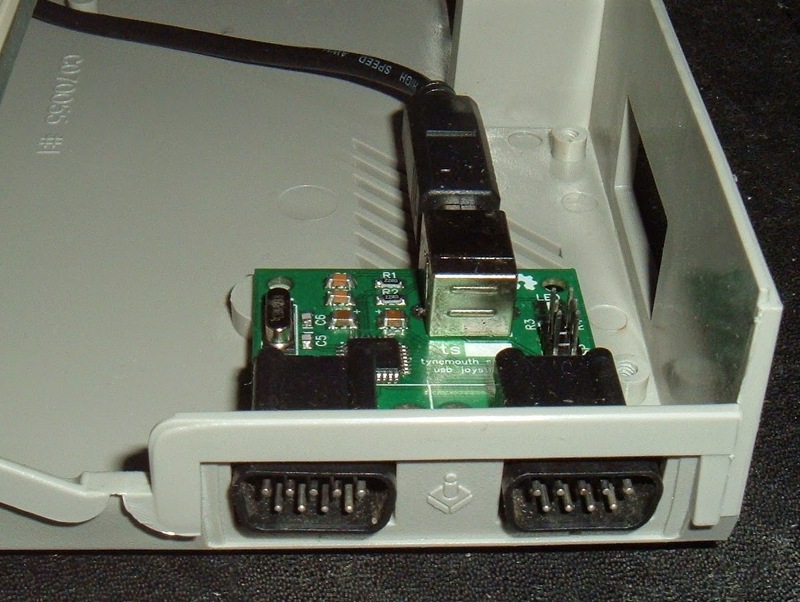 The USBtinyISP uses the RJ45 hole for USB, which fits fine, and the other side was designed to fit a 9 way D connector. These cases are the Pac Tec CNS-0407. 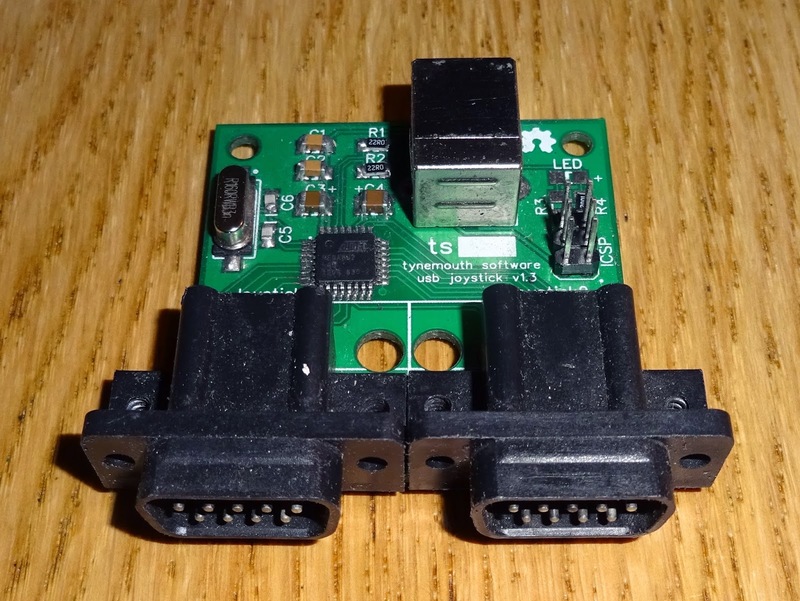 I found they were available (without the LED holes) from Mouser, so I got some and designed a board to fit in there. 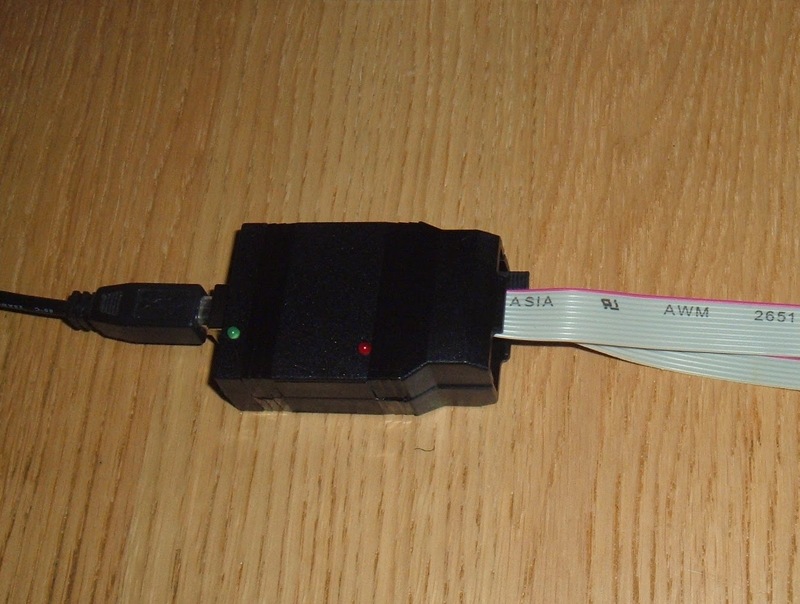 One end has the full size USB connector, and the other end a 9 way D connector. 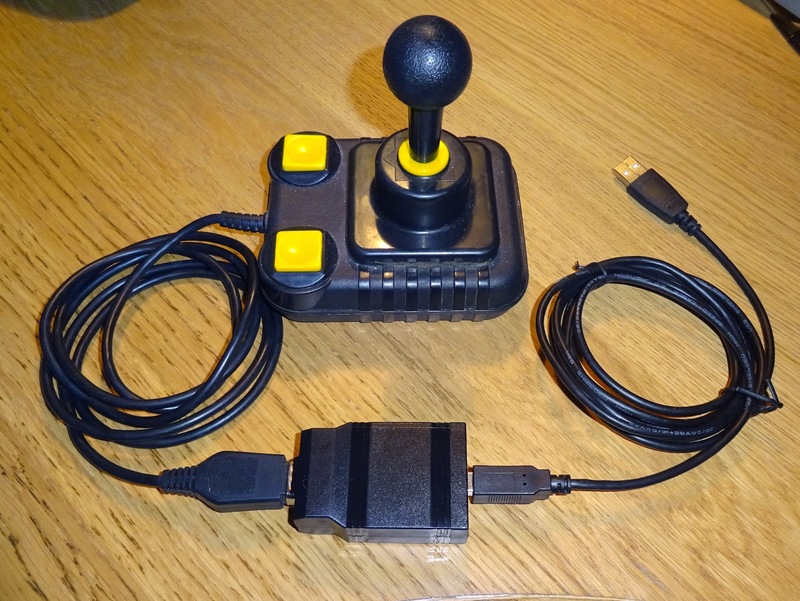 Plug in any Atari or Commodore style joystick with a 9 way D connector and it will show up in Windows or Linux as a USB joystick. The board fits snugly into the case, which tapers at the 9 way D end. 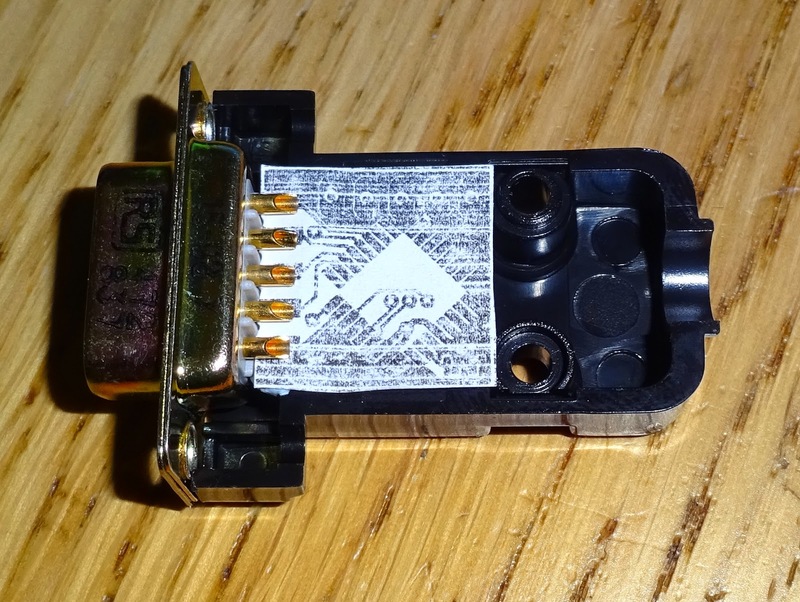 There is a bit of space on there, so it's spread out a bit to fill the gap between the two connectors. The case snaps shut and makes a neat enclosure. This can just sit inline between the PC and the joystick. 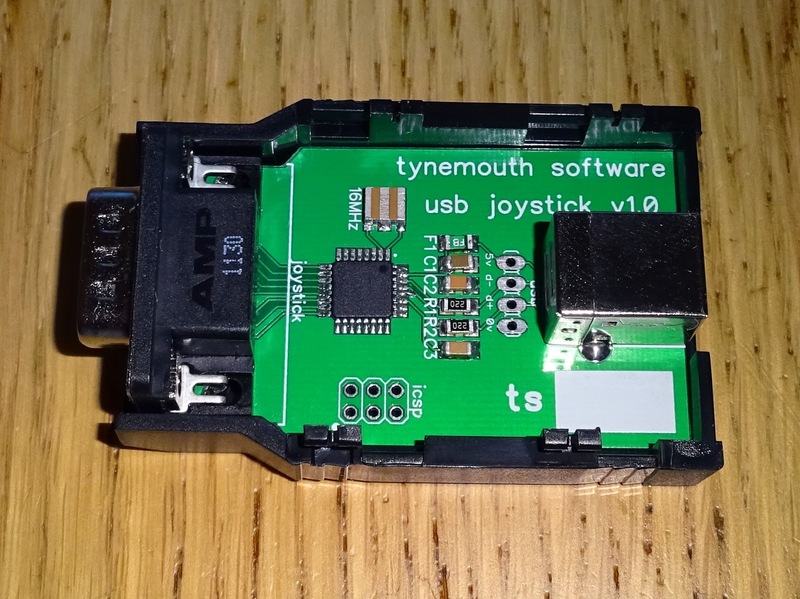 Testing here with a nice microswitched zipstick. There is now a dual version available. 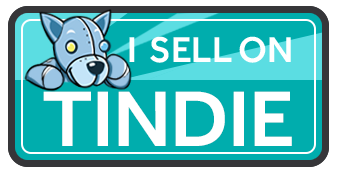 You can order these from my Tindie store.